What does classical civilization have to do with social media? As it turns out, a lot. We sat down with social media pioneer Scott Monty, CEO and Founder of Scott Monty Strategies, to hear about this, what he thinks is the biggest social media blunder businesses make, and more. 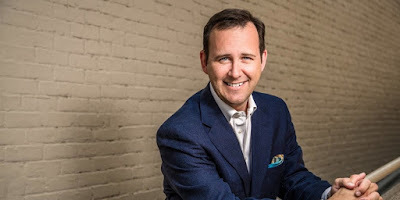 Scott was ranked by The Economist as #1 atop the list of 25 Social Media Business Leaders and by Forbes as one of the top 10 influencers in social media. Tell us a little about yourself and Scott Monty Strategies. I'm intrigued by classical civilization and the great works of western literature. I was a classics major as an undergrad and it gave me a chance to read and write widely on history, philosophy, drama, politics, and more. And I've found that the farther I get from my education, the more valuable it becomes. My speeches and consulting are focused on embracing the fundamentals of human communication through the lens of human nature, history, literature and common sense. The technologies that we're experiencing now are new and fresh, but human behavior remains steadfastly constant, and there is much to learn from the past masters. What digital or social media metrics should businesses measure to determine the success of their efforts? This is a favorite topic of mine, because it's one that can't be completely answered. There is no silver bullet, no single answer that manages to address this broad-ranging question. The issue is this: before you've even set out on a digital journey, you need to know what you want to accomplish. Doing digital and social for the sake of being cute or to jump on a trend isn't helpful unless it's somehow tied to your business objectives. Figure out what you want to achieve and determine the steps along the way that are meaningful and measurable. And then measure for outputs and outcomes, not likes, comments or clicks. In your opinion, what is the biggest blunder you see businesses make when getting started with social media and digital campaigns? Frankly, I would have hoped that we were beyond this now, but it's a function of social and digital falling under the umbrella of marketing. And that is that social and digital platforms are viewed as a place to shout at people and advertise, while what we should be doing is building relationships. There's nothing wrong with brands being on social media, but the way they go about telling stories and sharing things is fundamentally stuck in a "look at me" mentality. Brand storytelling is fine, but don't make yourself the hero every single time; make the customer the hero and your product a minor player. But being completely self-centered won't win you many friends. You need to have some presence, but you don't need to be everywhere and chasing the latest trends. Limit yourself to the places where your target audience is and where you know you can make a meaningful contribution and impact. Ultimately, it has to map to the culture of your business. For smaller businesses, there's no reason that all employees can't get involved in the effort; it shouldn't fall to a single person to do everything. The more personality you can put behind it, the more excited people will be. Be relentlessly curious. Dorothy Parker once said, "Curiosity is the cure for boredom. There is no cure for curiosity." The more you can soak up and understand about all aspects of business - not just digital, not just marketing, not just customer service - the more you can put everything into perspective. It takes time to build a strategic understanding of an industry, but the good news is that there are endless resources out there to help you discover and learn more. Scott is speaking at a sold-out event as part of The Center for Digital Engagement monthly breakfast series. If you want to hear and meet other industry thought leaders, see our list of upcoming events. 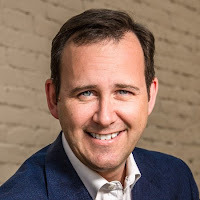 And if you have a question for Scott, connect with him at Twitter at @ScottMonty.